Many tubists have a broad based experience, but not often is it as deep and varied as that of Mike Roylance. 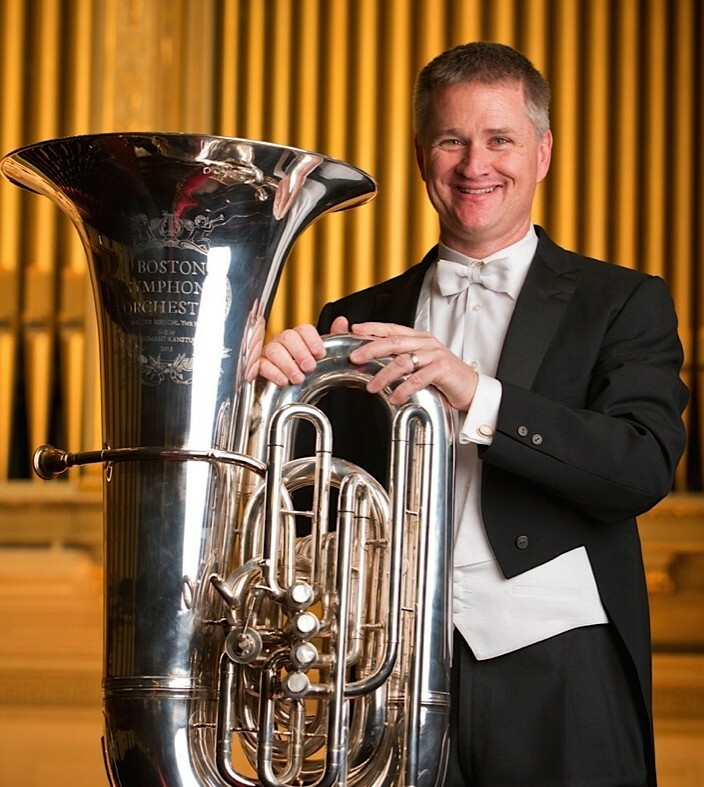 As principal tubist in the BSO and professor at New England Conservatory and Boston University his virtuosity is noteworthy, and based on his technically demanding warm-up dubbed “THUNDERDOME”. 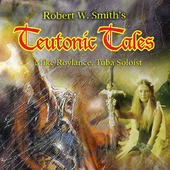 But Roylance’s origins in what he refers to as “out door chamber music” (The Future Corps at The E. P. C O. T. Center of Walt Disney World), hearken back to a reservoir experience drawn on by many practicioners of “The Fourth Valve” tm- Drum and Bugle Corps. From DCI to Tanglewood, join Mike Roylance on the musical excursion of a lifetime. Enjoy! Wow, that is a very explosive question. 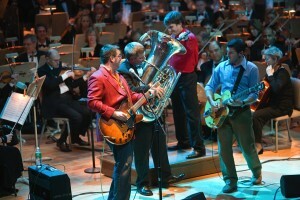 I’m not sure if I can narrow down my ideal tuba sound to a few words. 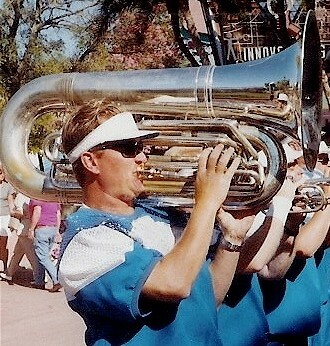 My concept of sound is at the fore of every moment when I play the tuba. Depending on the circumstance, I might want to sound like a baritone or tenor singer. I may want to sound like the pedals of an organ or a bombastic a semi-truck’s horn. I may want to sound like a string or woodwind instrument. While, I’ll never sound exactly like any of these particular sounds, having that concept of sound in front of the production process helps to shape what comes out of the end of my bell. I have traveled far and wide with regard to sound concepts. 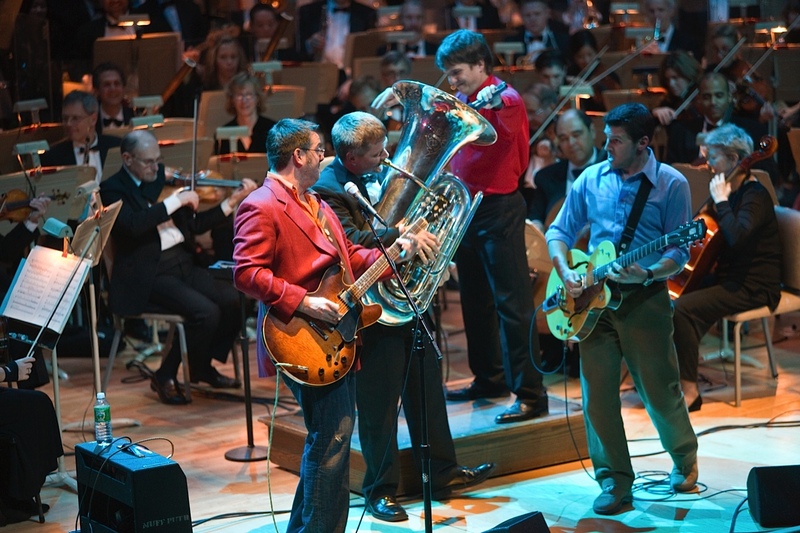 From playing with the Boston Symphony Orchestra, to playing with the Sam Rivers Jazz Orchestra, to playing with the Future Corps, to playing the electric bass in bands playing AC/DC and Rush tunes, I rely on all of my experiences to come up with a particular sound concept for the moment at hand. 2. What did your learn from playing in traditional drum corps and how often do you draw upon those experiences now? From my experiences with Suncoast Sound, a top-tier drum and bugle corps, I learned a great deal about the fundamentals of brass playing. I had several wonderful instructors, two of whom, Robert W Smith, Frank Williams were extremely well-versed in brass pedagogy. My daily fundamental routine, dubbed THUNDERDOME by several of my students is mostly the same routine that I was taught in those formative years. My practice discipline also comes from this period in my life, it was a bountiful time in my maturing as a musician. I am very thankful for that period in my life. a 3. What sort of chamber music and solo playing opportunities do you enjoy most? How important are they to you as a musician? 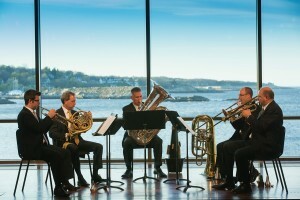 I helped form the BSO Brass Quintet which is comprised of all of the principal brass players of the BSO. Although we do not have too many opportunities to practice and perform with our busy lives, I treasure every moment with this group. 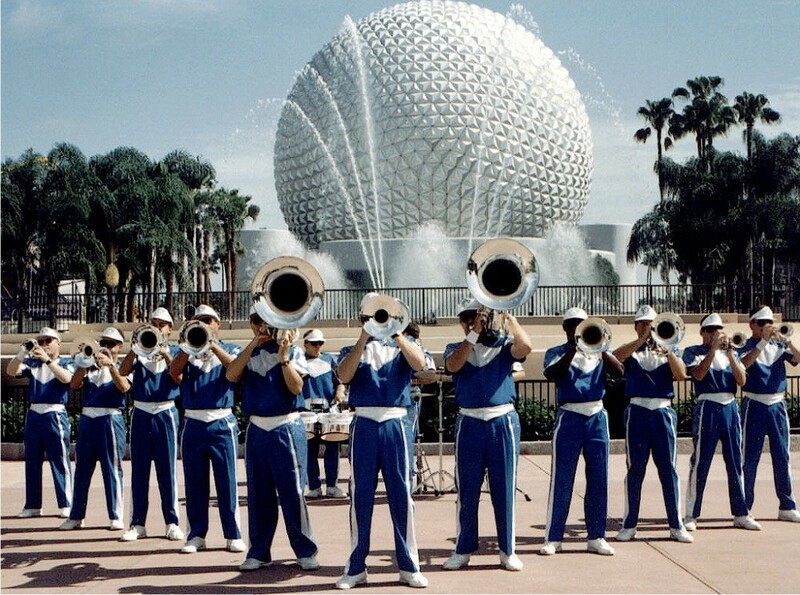 Actually, I had a twelve year career as chamber musician at Walt Disney World with the Future Corps and other groups within the parks; if what defines a chamber group is the lack of conductor. Adjusting to life in the BSO or any orchestra or band after never relying on a conductor for anything was difficult, but made easier with the skills that I brought with me from my time on the streets of EPCOT. Time spent in chamber groups is of GREAT benefit to the developing musician. The intuitive ability to adjust pitch/time/dynamics/line in the moment will be finely honed in a chamber setting. 4. What was your typical warm-up routine like as an undergrad as compared to when you started winning symphonic auditions? As I mentioned before, my routine has largely stayed the same since my days in drum corps. The exercises are constantly changing as I am constantly moving to better my skills, but the seven basic areas of brass fundamentals, breathing, buzzing (free-buzz and mouthpiece), long tones, extreme range (both high and low), chromatic patterns, flexibility and articulation are covered every day. 5. 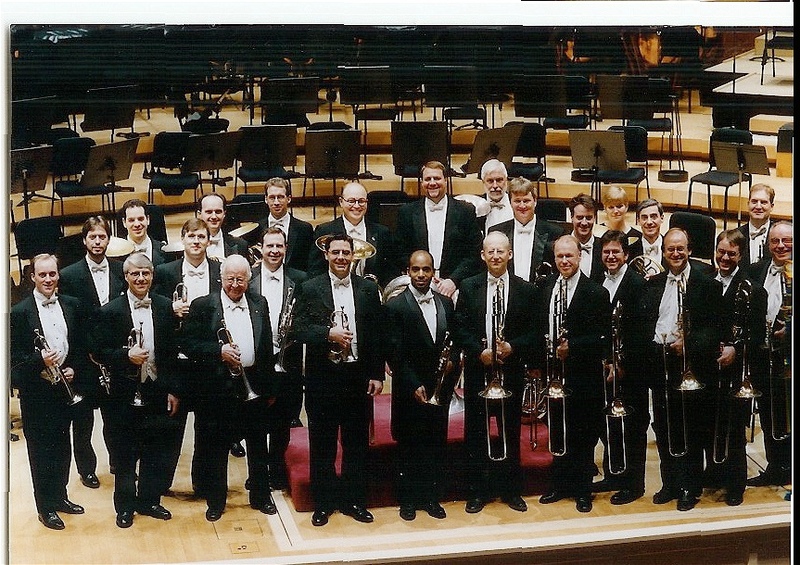 What is the National Brass Ensemble all about, and how did you become involved? 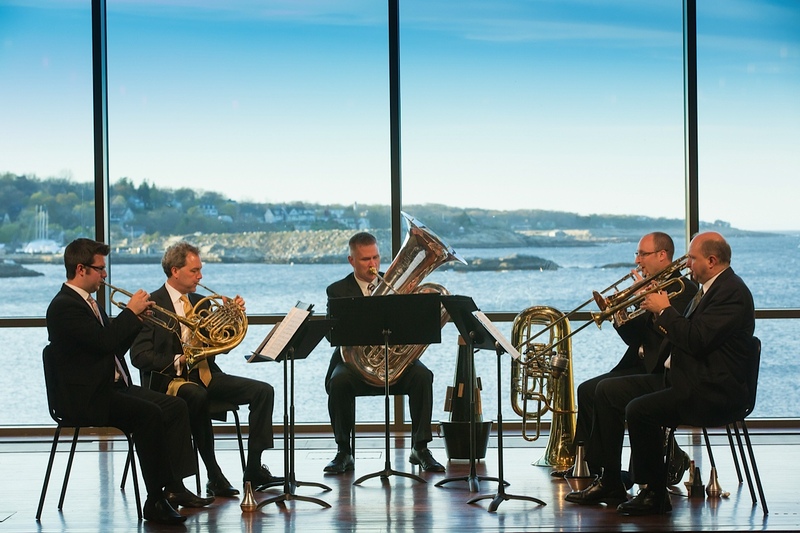 The National Brass Ensemble was founded this past summer utilizing some of the most prominent brass players in the United States. I am extremely honored to be a part of this amazing collection of players. Last summer, we recorded an album to be released this next September of 2015 with a release concert/party in Orchestra Hall in Chicago. The genesis of this particular project was to re-record the famous album recorded in 1959 and 1968, The Antiphonal Music of Gabrieli recorded by the brass sections of Chicago, Cleveland and Philadelphia. You don’t want to miss this event. have had the greatest impact…? There is definitely not enough space in this interview to properly answer this question. 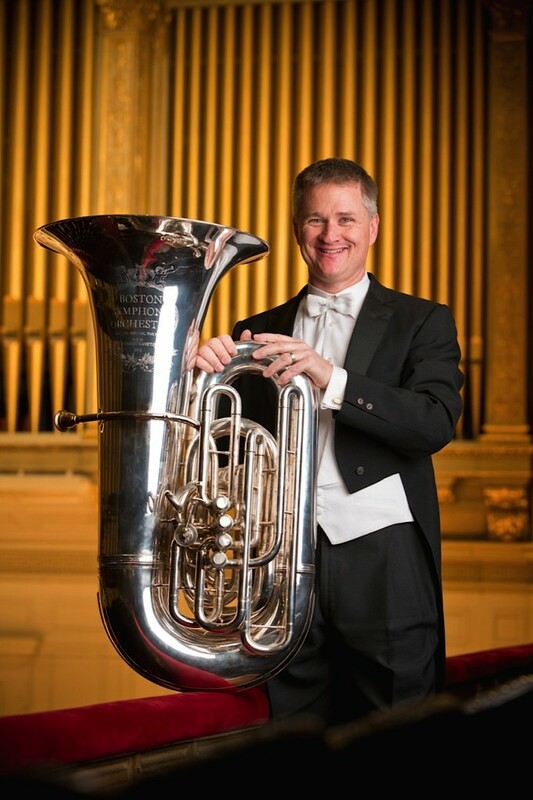 My staple go-to solo tuba recordings include the solo projects of Floyd Cooley, Gene Pokorny, Jon Sass, Walter Hilgers, Roland Szentpali, Sergio Carolina and Toby Hanks. Suffice to say, I am always eager to listen to some of my good friends and heroes…Willie Clark, Chris Olka, Claude Kashnig, James Jenkins, Robert Carpenter, Mark Thiele, Dennis Nulty, Aaron McCalla, Eli Newberger, Pete Link, Zach DeVries, John Stevens, Alessandro Fossi, Warren Deck,…. I’m sure I’m leaving out a thousand more. 9. Can you compare a day in the life in the BSO to a day in the life in Future Corps? Sure, while in the Future Corps, my day started with a strong fundamental routine followed by 7 outside performances playing a GG contra bass bugle played on your shoulder while marching. 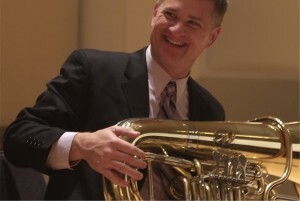 While in the BSO my day starts out with a strong fundamental routine followed rehearsals and/or performances all done inside while sitting down, playing a CC or F tuba. Other than the repertoire, the only difference is that I now play inside while sitting down.